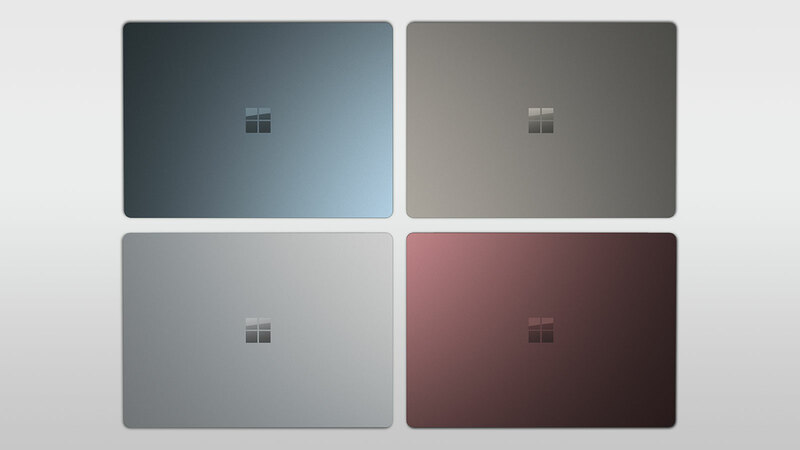 MICROSOFT SURFACE LAPTOP | muted. Microsoft has just announced it’s new Macbook killer, the Microsoft Surface Laptop ($999) and is now taking preorders for a June 15th release date. In official messaging Microsofts says the new laptop is aimed at students, but it’s easy to see they’re also looking to capture some of that Macbook market. Apple has always been known for its sleek design and innovation, but the Surface Laptop with its beautiful Alcantara fabric-covered keyboard will definitely stand out. Features include a 13.3-inch screen, a reported battery life of 14+ hours, and a clamshell body. Available in four colors it also comes with a touchscreen that supports the Surface Pen stylus. As far a the engine, the base model will come with the Intel i5, 4GB of ram and 128GB of storage and for $300 more you can get 8GB of memory, and 256GB of storage. There are also i7 options available starting at $1599. The Surface Laptop comes with Windows 10 S, a new version of the Windows operating system. Microsoft says they new operating system is more streamlined, secure, and provides improved performance and battery life when compared to its bigger brother. The one problem is you can only install applications that come from the Windows App store. If that’s a no-go for you then you’ll need to cough up a $49 upgrade fee.